Blog | Struggling to Open Your Garage Door? 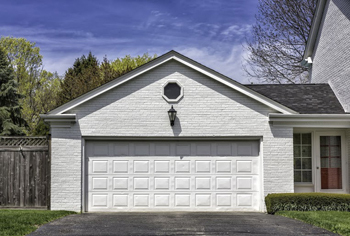 Garage doors are meant to open with ease, even if they are extremely large and heavy, but over time they can begin to lose some of that smooth action as they get older. The question to ask yourself is why. Well, there are a few reasons for this. But not all is lost. Here are a few of the reasons why doors can act stubbornly, how you can diagnose them, and what to do to get them performing as they should. So if you nearly break your back every time you lift the door yourself, or your motor just doesn’t seem to be cutting it anymore, then keep reading for a few tips that will give your doors a much smoother action and keep them operating with the ease they should be. Your door setup is composed of quite a few moving parts and components which cause considerable friction when the door is in motion, and so a good place to start your diagnosis is to check that each one is adequately lubricated. One of the symptoms you can look out for in this regard, besides the door being difficult to open, is sound. Doors should operate in relative silence whether they are automatic or not, so if you are hearing any squeaking of clanging you should try opt for a spot of lubrication maintenance, or do it yourself with a commercial oil, to reduce the amount of friction caused when the door is in motion. With doors that take advantage of an automatic opener this is even more important since the unnecessary strain caused by the friction can affect your entire system, as it strains and over compensates for the extra weight caused by friction. Have it seen-to early on or else some of the other parts will suffer. The significant weight of your door needs to be properly held and balanced by the components that make up your system. A door that struggles to open and close is a sure sign that its weight is not evenly distributed. This could point to a problem with one of the two garage door springs or the cable, and you may want to have it replaced. For rollup garage doors you may find that the middle of the door sags when it is opened, this understandably makes the whole thing far more difficult to open than if it is aligned. This can also be a sign of other problems which can lead to a complete malfunction, so it is very wise to have a technician take a look at it as soon as you can. Hopefully this has helped you somewhat, and that your problem isn’t too severe. But if you are having problems with your opener, you should take care not to let it deteriorate into something far worse. Have it professionally seen to as soon as you can, and you’ll be surprised to find it doesn’t cost as much as you thought it would.